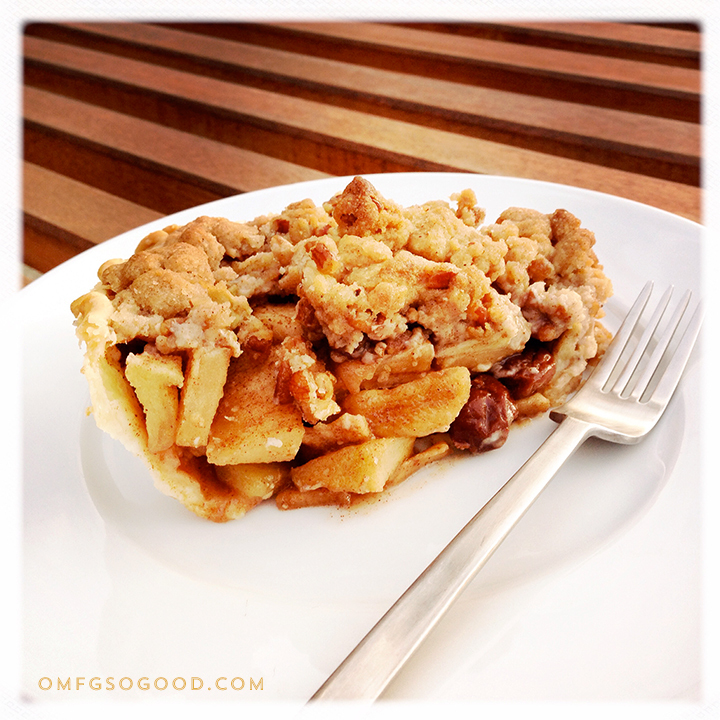 salted pecan crumble topped apple & bourbon cherry pie | omfg. so good. Is it just me, or does the holiday season become overstimulating, and overwhelming, earlier and earlier every year? I seriously feel like we skipped right past Thanksgiving and jumped straight onto the Polar Express. I’m so dizzy, my head is spinning. It’s because of this, that I’ve found myself looking at photos of food more often than actually making it lately. Maybe I should ask for a clone for Christmas this year. Clone-Me could be in charge of driving to-and-from school multiple times a day because ‘someone’ forgot their backpack again, and folding mountain sized piles of size 3T underpants and mismatched socks. Real-Me would be focused on casually strolling the aisles of Trader Joe’s, coveting all the pretty packages, organizing my freshly plucked organic produce by color, and finessing my knack for perfectly seasoned fare, paired with perfectly crass humor. Bust out your favorite dough for a single crust pie. Not gonna lie, I use Pillsbury refrigerated crusts. Because, again, I don’t have Clone-Me yet, and she has all the free time. Plus, they now have a gluten-free refrigerated dough. What, what?? In a small bowl, combine the dried tart cherries with the bourbon and toss to coat. Set them aside and allow the cherries to soak up all the spicy, delicious boozy goodness. Line a 9″ pie plate with the rolled flat, uncooked pie shell, then crimp the edges. Crimp it good. To make the crumble topping, combine the flour, sugars, salt, cinnamon and 1/4 cup of the pecans in the bowl of a food processor, and pulse until the pecans are ground. Add in the cold butter and pulse until the mixture is crumbly. Add in the remaining pecan pieces and use your hands to work the mixture to form larger clumps. Refrigerate until ready to use. 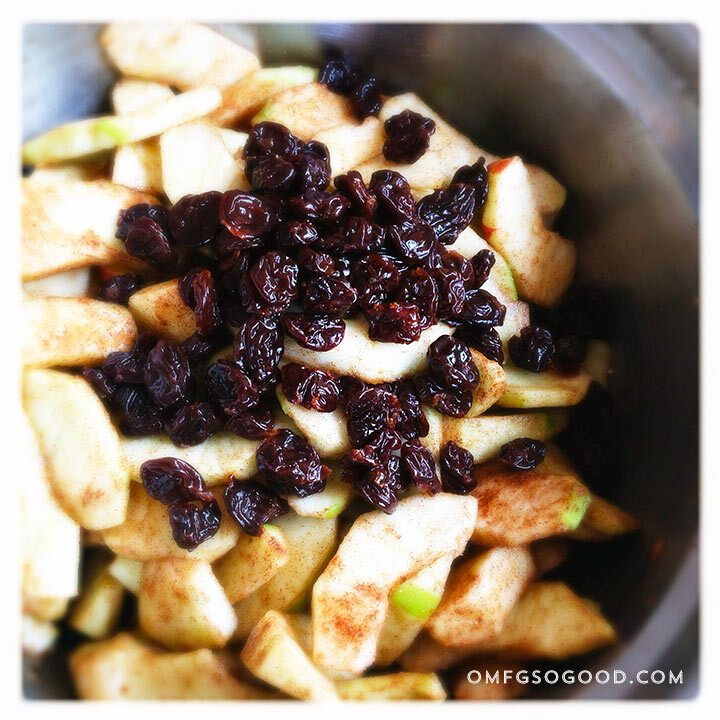 To make the filling, combine the apples, brown sugar and cinnamon in a large bowl and toss to evenly coat the apples. Add the bourbon soaked cherries and toss to combine. Spoon the apple cherry pie filling into the prepared pie shell. 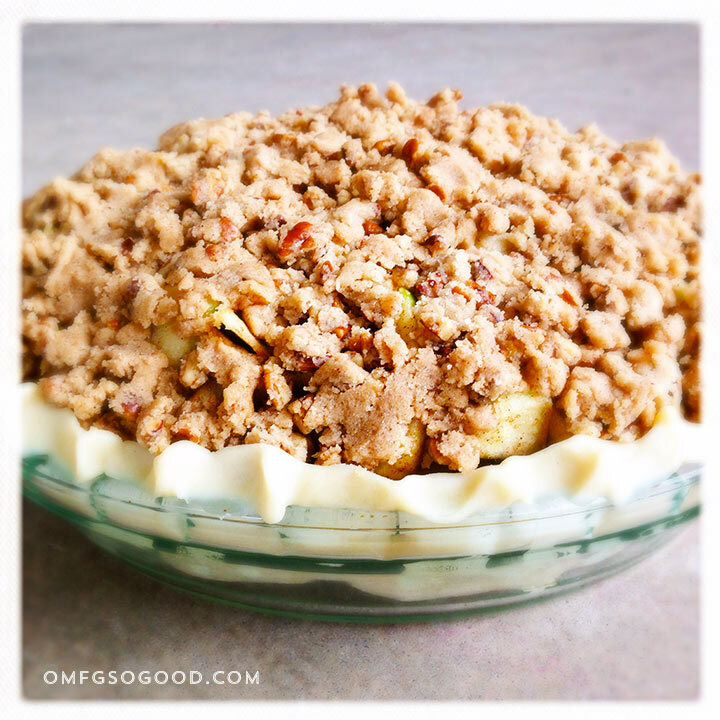 Sprinkle the crumble topping evenly over the top of the pie, gently pressing it into place. 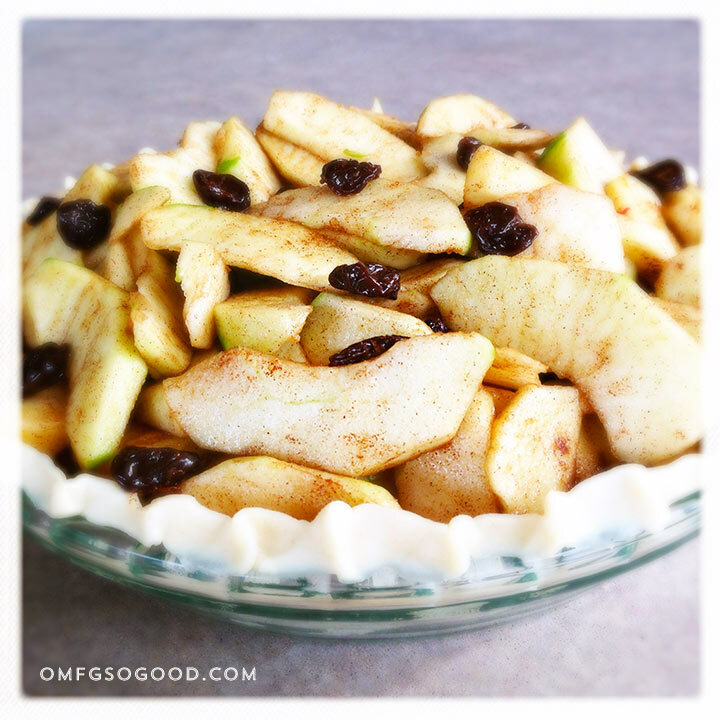 Place the pie on a baking sheet, then transfer it to the preheated oven and bake for 50 – 60 minutes, or until filling is bubbly and the topping is golden brown. Let the pie cool completely on a wire rack before serving. Ahhh, yes. Gimme that boozy pie. This looks awesome! It is not just you. Commercialization of the Christmas season is taking away from the true meaning of Christmas.